Rodent found in the deserts of Asia and Africa adapted for hopping and able to survive without drinking water. Mostly vegetarian rodent found in woods and forests around the world, except in Australia; some squirrels move about by gliding from tree to tree. Rodent of the Eurasian steppes sometimes domesticated and used for laboratory experiments; it stores its food in its cheek pouches. Small, mainly vegetarian North American rodent found in hardwood forests and bushes. 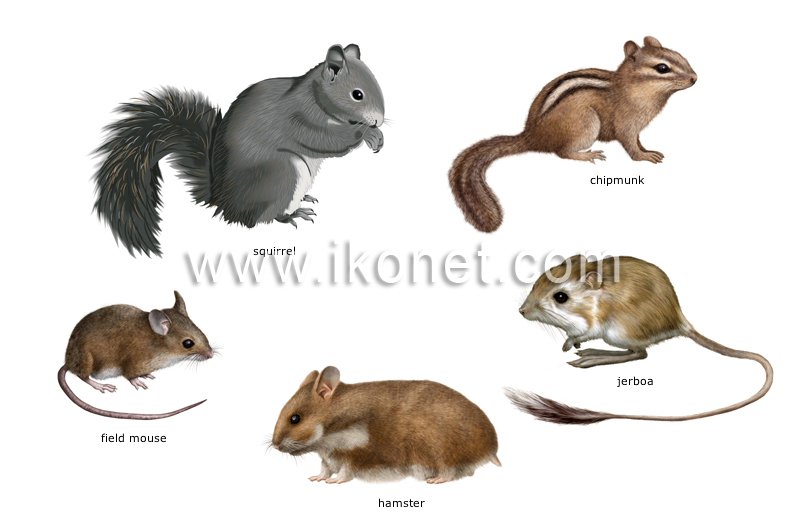 Rodent found in woods and fields; it moves about by hopping and can cause serious crop damage.